Corfe Bears > Charlie Bears > BUNYA 9"
Bunya is an adorable bunny, with silky soft, short green plush fur and a light cream tummy, with matching fluffy paws and toes. She will look great within your collection and is easily poseable, as she has long, wired ears. Finishing off her look is a pale pink organza bow. Will she be hopping into your hug? 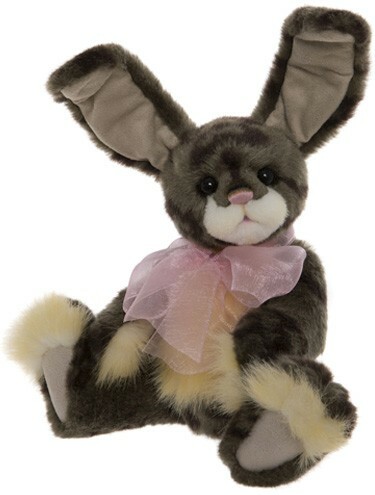 Bunya is from the Charlie Bears 2019 Collection.